2 og is an experimental hub in Berlin that provides space for artists and scientists. located in the city centre, We focus on interdisciplinary ideas of a better and good looking future, City and Society. 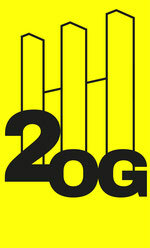 - 2og-websites Webseite! 2 og is an experimental hub in Berlin that provides space for artists and scientists. located in the city centre, We focus on interdisciplinary ideas of a better and good looking future, City and Society.